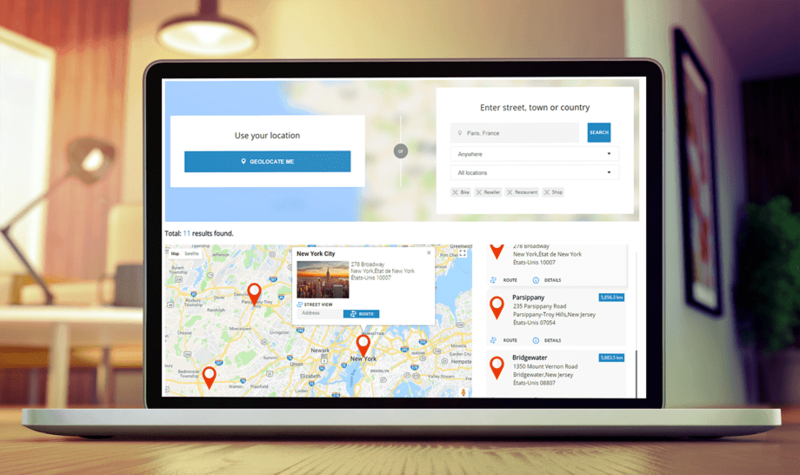 Let your users search for the locations you've added and configure the display as you want. 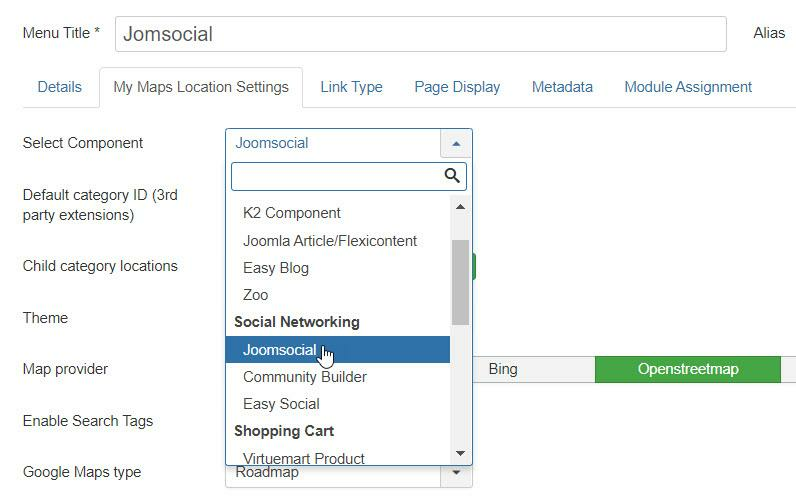 My maps location got a lot of integrations with other Joomla extensions, here's the documentation to use them. Each location you add in K2 item will be added automatically in My Maps location and then you’ll be able to load them as any other location. So you can load you K2 item with a menu, the search field or a specific module. First you need to locate your K2 item you want to search for. Then using the search engine, you'll be able to search for K2 item and each item link will naturally bring to the K2 item detailed page (instead of the My Maps location page). What can I also get from K2? My Maps Location can display K2 ratings in the search results. A specific K2 module is available with My Maps location called “K2 – My Maps location”. Some K2 locations loaded in a module. The community builder extension for My Maps location has to be installed through CB plugin installer (not Joomla installer). It come as a separated plugin to download. Then, from the Community Builder plugin list you have the possibility to map the profile address fields with My Maps Location address fields. Then in the menu manager you can force the search engine to search for Community members. 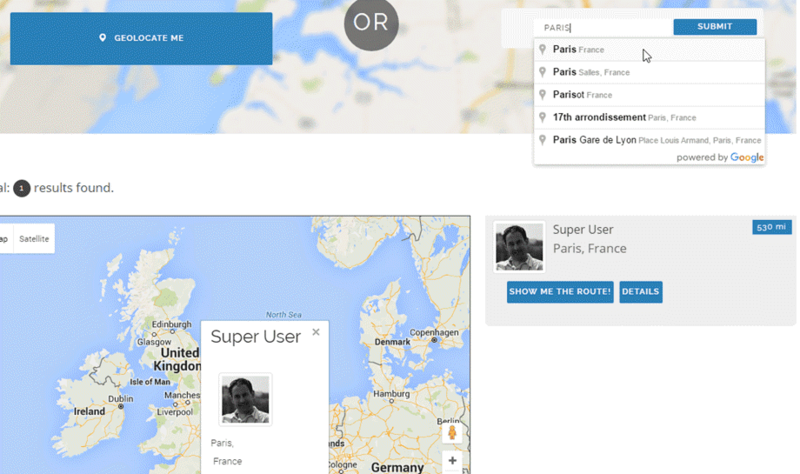 Finally you can search for your members near from your position or anywhere. Members with avartar are now on the map. If your application is set as Core application, you can see on your profile your location (automatically added from your Jomsocial address). 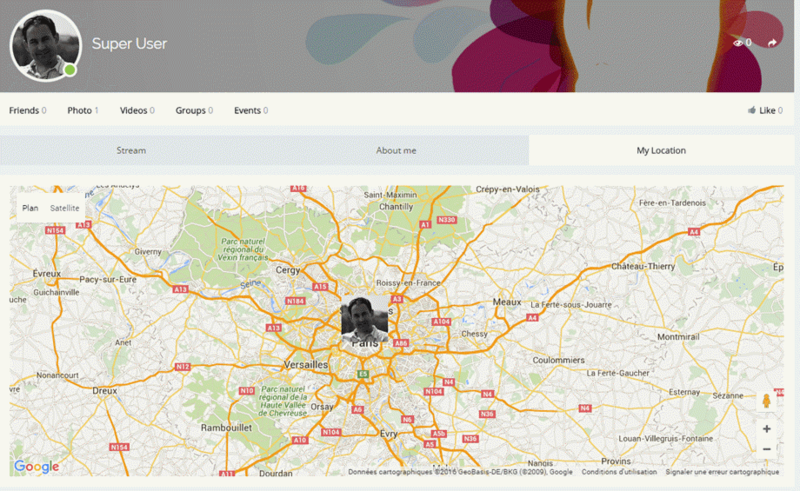 Finally you can search the Jomsocial members using My Maps Location search engine called from a Joomla menu. 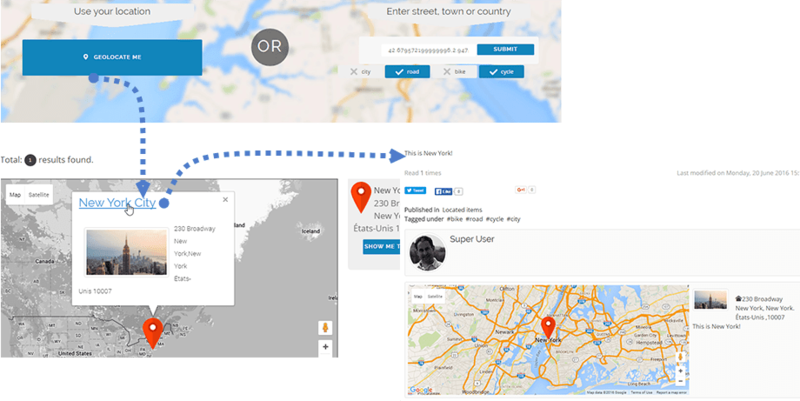 Display and search on the the map the user location around you or anywhere. 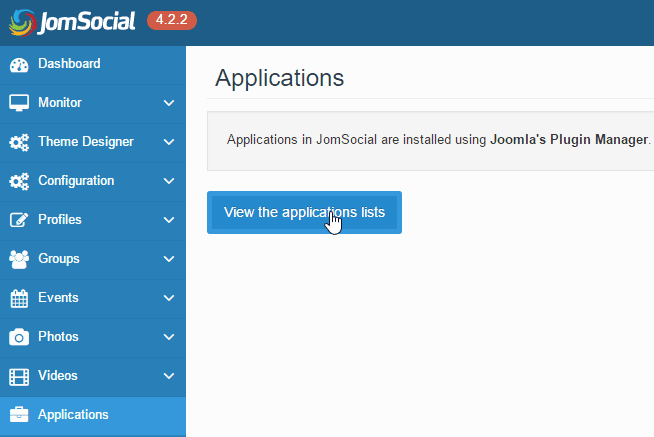 Then when you load the Jomsocial member search from a menu you’ll be able to display the dating search fields like above. In order to use Virtuemart, first, you go to Virtuemart > Custom Fields, click on New button to create a new custom field. 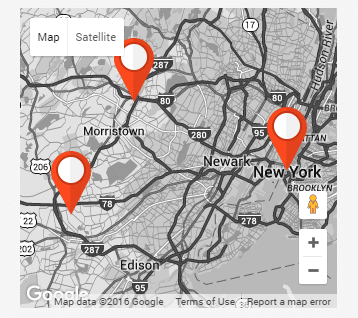 The Custom Field Type is Plug-ins and Additional Parameters is Virtuemart My map locations. After that, you can adjust the parameters listed below the Additional Parameters. Next, you go to Products and click on Custom Fields tab, select "map", then search your address or input latitude, longtitude there. And to show it on frontend, you should go to Menu Item and select Virtuemart Product at My Maps Location Settings tab.